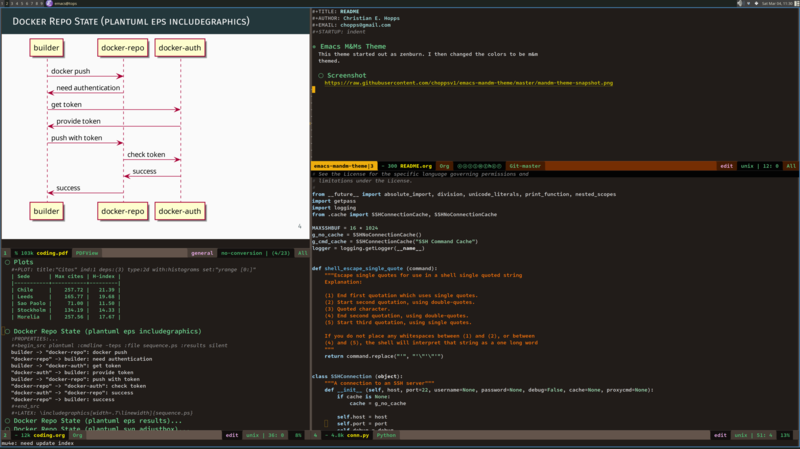 Want to be notified of new releases in choppsv1/emacs-mandm-theme? This theme started out as zenburn. I then changed the colors to be m&m themed. NOTE Org titles have been made slightly smaller in newer versions that this picture.